What's the best summertime drink? 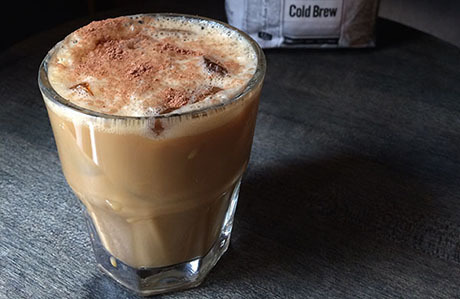 Is it the chilly, potent iced coffee that lifts you from a midday slump? Or is it the shaken cocktail with which you toast the evening? You no longer have to choose between the two. 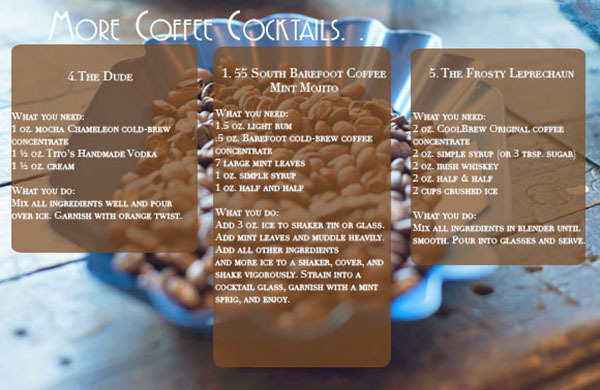 Instead, mix things up with these caffeinated cocktail recipes from five cold-brew coffee companies from across the nation. 1. Barefoot Coffee Roasters An 18-hour cold extraction process is the key to Barefoot Coffee Roasters’ rich, chocolatey cold brew. Try it shaken up in this caffeinated riff on a mojito, created by the mixologists of 55 South in San Jose (see full recipe below). 2. Slingshot Coffee Co. Slingshot Coffee Co.’s aptly named Comfort + Speed recipe combines the pleasant buzz of vermouth with the energy lift of organic coffee beans sourced from Durham-based Counter Culture Coffee. Although Slingshot keeps things local at every stage of the cold-brewing process, they ship the finished product across the country. 3. Birch Coffee Birch Coffee’s 64-ounce cold-brew growlers are a saving grace during steamy New York summers. Pick up a jug at the company’s East 27th Street café, or place an order for delivery (within Manhattan only). Then, cool off with the java company’s smooth-sipping, vanilla-tinged cocktail. 4. Chameleon Cold-Brew Chameleon Cold-Brew invented this creamy, orange-scented white russian specifically for a Willie Nelson show at SXSW (see full recipe below). 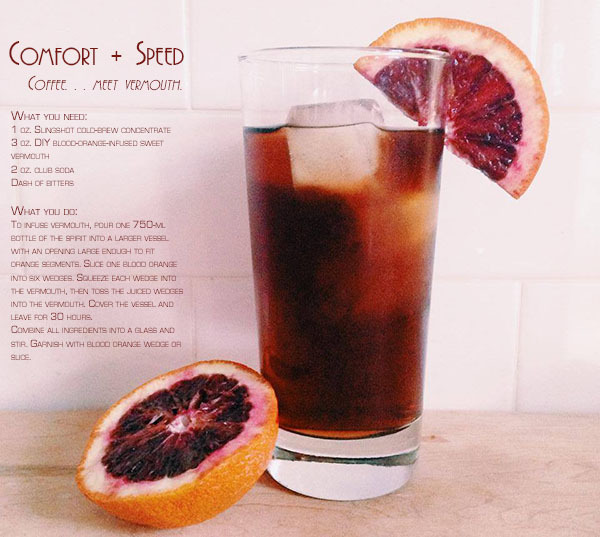 A shot of rich cream lightens the cocktail’s organic, fair-trade cold brew, and notes of mocha play well with the orange peel’s aromatic oils. 5. CoolBrew Phillip McCrory, the founder of New Orleans cold-brew company CoolBrew, repurposed a 150-year-old cold filtration process to perfect his potent, low-acidity java. To this day, the company uses that technique to create cold-brew coffee concentrates in flavors such as hazelnut and chocolate-almond. Though you can incorporate these concentrates into desserts and even barbecue sauce, our favorite application is this Irish whiskey–based cocktail (see full recipe below). Shop for local deals on coffee shops in your city. Photo of Comfort + Speed courtesy of Slingshot Coffee Company. 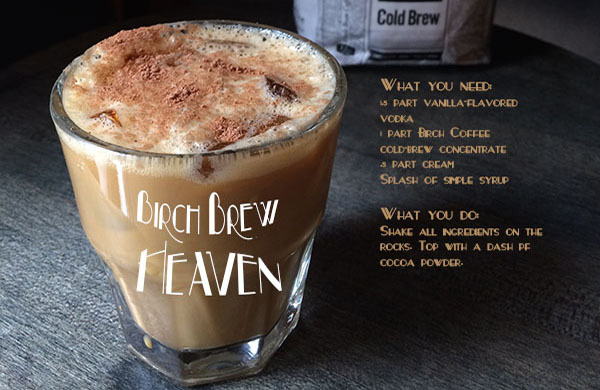 Photo of Birch Brew Heaven courtesy of Birch Coffee. Video by Nathalie Lagerfeld, Groupon. Music: "Belview" by C. Scott via Free Music Archive.